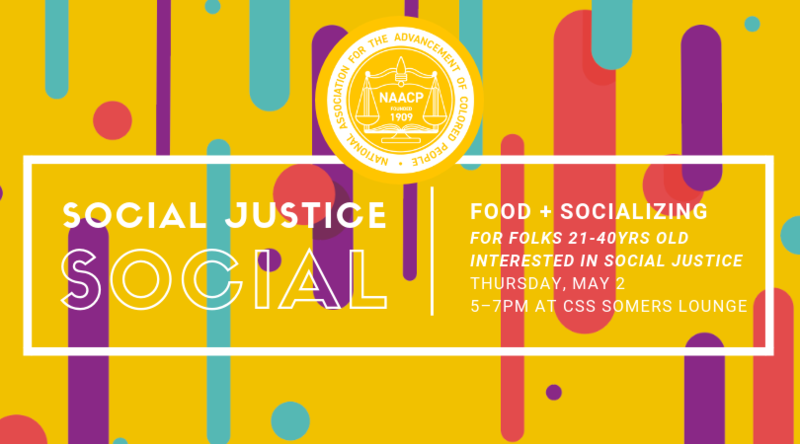 The Duluth NAACP Young Adult Committee's quarterly (FREE) social is partnering with some dope organizations to make this an amazing event for folks 21-40yrs who are interested in social justice! * Clayton Jackson McGhie Memorial, Inc.
with many more to come!! Contact youngadult@duluthnaacp.org if you're interested in partnering with us! The event is completely free, registration/sign-in required! It also includes swag bags (while supplies last), giveaways, and dinner catered by Northern Waters Smokehaus! Childcare will also be provided! We hope to see you there to network with the social justice-based organizations in Duluth. Register now to join the fun quicker!